Change IPL in Timings – The IPL core committee announced major changes in the timings for the playoffs and the final of the IPL. 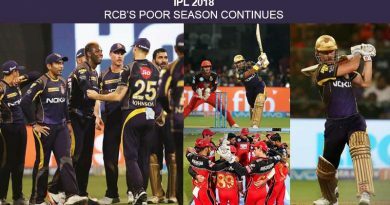 With the playoffs, semi-finals and final taking place at 8 pm every season, the IPL has decided to change this, this year around. The new timings will see the playoffs to be played on the 22nd and 23rd starting half an hour before at 7:30 pm IST. The final has seen the same shift in timings and will start at 7:30 pm on the 25th of May. The move was taken after a meeting of the IPL Governing Council who in a statement said that the change in IPL timings was done keeping in mind the interest of the fans. They said a half an hour shift who ensure that more cricket lovers around the country would be able to tune into the match and wouldn’t be kept up too late with the match ending around 11 pm now. Rajeev Shukla, the IPL Chairman said, “The IPL is what it is because of its fans and the tournament has over the years been followed avidly both on the ground and on television at homes,”.”So, keeping the interest of the fans in mind, it was decided that the play-offs games and the final will start an hour earlier. So, instead of the 8 pm start, the games will start at 7 pm. It gets difficult not only for those at the stadium but also for those watching on television as students and office-goers also need to get back to their respective stuff next morning and it helps if the game starts an hour earlier,” Shukla further added. The governing council had considered a shift in timings before the season as well. They had considered moving the evening games to start at 5:30 pm as opposed to 4 and the evening games to commence at 7 pm rather than 8 pm. However, their decision had been heavily opposed by franchises and the telecasters back then. 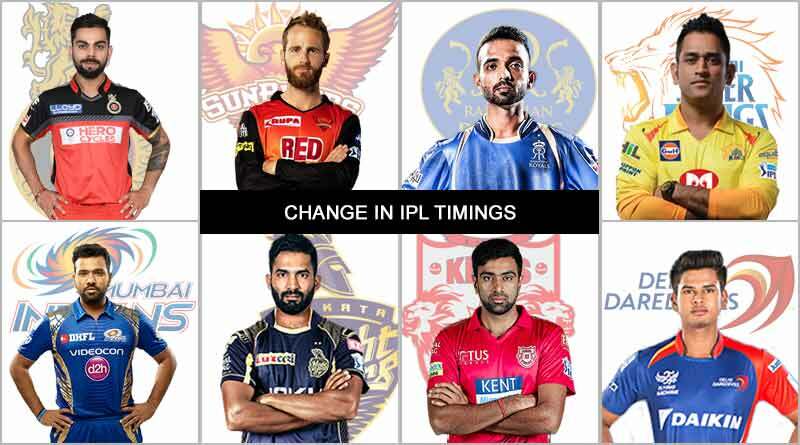 However, they seem to have gotten their way this time around, changing the time of matches for the first time in the history of the Indian Premier League, change in IPL timings.